Introducing the Bristan power shower 1500, a punchy combination of mixing valve and pump in one neat, ergonomic unit. Introducing the Bristan power shower 1500, a punchy combination of mixing valve and pump in one neat, ergonomic unit. This Bristan 1500 power shower requires a gravity fed hot and cold water feed and an electrical supply cable via an appropriate isolation switch. The plumbing inlet connection is on the right hand side of this unit, the pipework can feed from above or below the shower or straight through the wall at the back of the unit. Thermostatic control that keeps water temperature within +/-1°C. 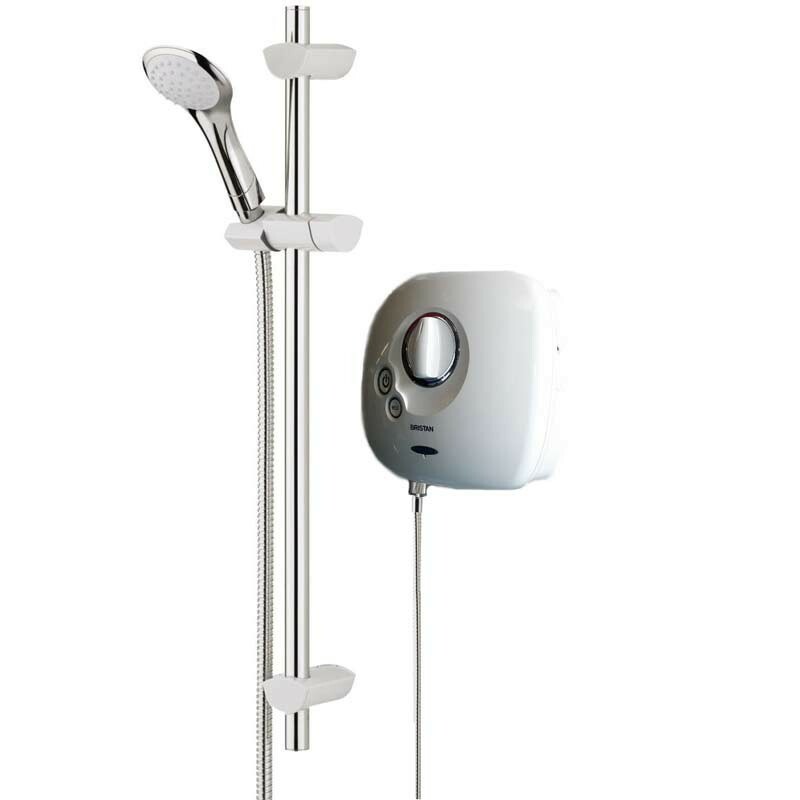 It is a high flowing power shower that delivers up to 10 litres of flow per minute. Simple push button Stop/Start control and easy-grip lever to control your temperature. Stylish three spray massage shower handset with Rub-clean jets for easy of cleaning. A Riser rail that fits flush to the wall and features a smooth glide action handset holder for single handed adjustment. And an integrated hose retainer and soap tray. We recommend this shower is installed in accordance with current IEE wiring regulations and relevant building regulations by a suitably qualified registered electrician. PLEASE NOTE The riser rail supplied with this shower has been changed by Bristan. We are currently awaiting updated images. This was a replacement for another shower. Installation was seamless and shower performance is very good, albeit a bit noisy. Product good but not a direct replacement for the shower unit it was advertised as replacing as pipe inlets were further out from the wall creating a lot more detailed work. Thank you for your custom and feedback. We are sorry about this issues with the inlets. This is not an issue we have previously had reported when replacing the New team / Showerforce 1500 power showers. If possible could we confirm the details of the previous shower and installation to ensure that... Read More. Thank you for your custom and feedback. We are sorry about this issues with the inlets. This is not an issue we have previously had reported when replacing the New team / Showerforce 1500 power showers. If possible could we confirm the details of the previous shower and installation to ensure that other customers do not experience this issue. Direct replacement for previous item. A direct replacement for an old shower. Easy to fit. Thank you so much for ordering with Tapstore and for sharing feedback on your experience. As expected and was a direct replacement which meant no re-plumbing or running new electrics. The product received is not as per the image or description. The shower head does not have a chrome surround, it is mostly white plastic and is much larger. The online description and indeed the accompanying booklet states there is a soap dish but there isn't. The shower itself is noisier than my... Read More. The product received is not as per the image or description. 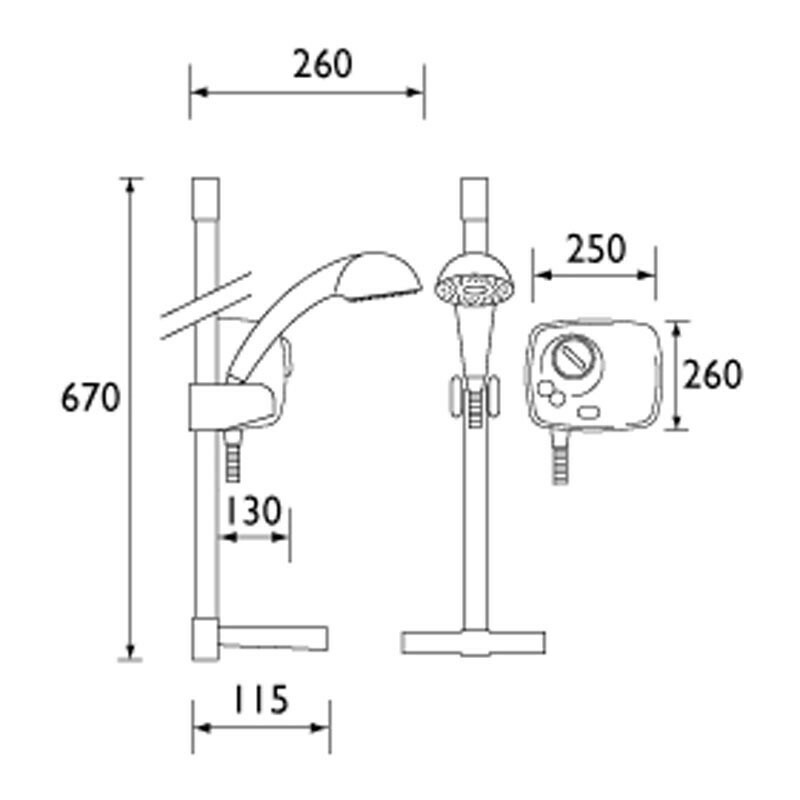 The shower head does not have a chrome surround, it is mostly white plastic and is much larger. The online description and indeed the accompanying booklet states there is a soap dish but there isn't. The shower itself is noisier than my previous Showerforce model but it does the job. Great shower and very efficient. Love the large shower head.